When you set out to invest a significant amount of money in buying a property, it’s essential to get an independent assessment of its true condition from top to bottom. 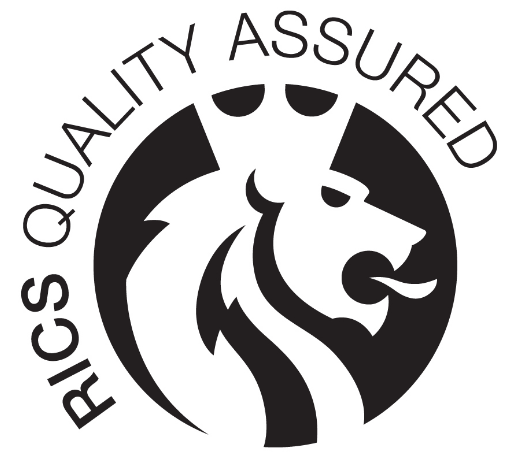 For this, you need to hire a highly qualified Chartered Surveyor who reports to you and only you. Buying a home is the most important investment that you will undertake in your lifetime, so it’s important that you know what you are getting. A Building Survey will investigate the condition of the property and report any defects in detail, allowing you to make an informed decision as to whether or not you want to proceed with your purchase. This report includes photos, detailed analysis of the entire building, including every accessible element, externally and internally. If any problems or structural issues are uncovered, the report will provide an estimated cost of repair and indicate the level of urgency required, so that you can factor these into your budget and any renovation plans you may have. What type of property is a Building Survey for? Why are Building Surveys important? Buying a property is the biggest investment most of us will ever make, which is why it’s essential to fully understand what you’re buying before you commit. Even if you’ve got no reason to believe that the building is structurally unsound, it’s easy to miss small problem indicators with an untrained eye. This is particularly the case when the property you are buying is old, large or unconventional in some way. Without a survey, buyers can get as far as exchanging or even completing on a house before noticing defects that may have affected the price they offered or their decision to buy the property at all. Unfortunately, once you have exchanged contracts, these issues are no longer the responsibility of the vendor. According to RICS, buyers that fail to get any kind of survey pay an average of £5,750 in unexpected repairs once moving in. Avoiding these surprise expenses is as simple as instructing a professional surveyor to inspect the building before you exchange contracts. With our training and experience, we are able to identify potential problems throughout the property and provide you with all the information you need to make an informed decision about proceeding. Which Building Survey should I get? At Foundation Surveyors, we offer three levels of survey that follow the guidelines set out by RICS. For homes that are new, or nearly-new, a Condition Report provides a basic overview and confirms that there is no need for further investigation. However, in most cases, a HomeBuyer Report is more appropriate. This level of inspection considers the ageing building materials and expected wear and tear, providing buyers with more details about how to care for their new home. Where a building is particularly complex – perhaps due to its materials, size or age – a Building Survey offers better value. Although it is the most expensive of the three RICS surveys, it allows surveyors enough time to complete a full visual inspection of an unusual home and report in detail about any defects or concerns that are identified. Building Surveys are also useful for homes that have been extensively modified or need to undergo renovation, as they will look closely at the performance of old and new construction materials to recommend necessary maintenance or alteration. What's involved in a Building Survey? Building Surveys include a thorough, visual inspection of all accessible areas of the house. Although your surveyor won’t be able to force their way into locked cupboards or move furniture around, they will carefully look around each room, go into loft spaces and check any outbuildings. Your report will contain a detailed description of each property feature and any observed defects. With a Building Survey, the surveyor will make recommendations about repair options, next steps and the likely consequences of inactivity. Should they notice anything that might concern your legal advisors or pose a serious threat to health or safety, this will be noted too. How does the survey differ to a HomeBuyer Report? Both the Building Survey and HomeBuyer Report offer a detailed insight into your home, with an experienced surveyor carrying out a surface-level inspection to find potential hazards. However, the surveyor will have more time to inspect all accessible areas of the property, such as the spaces between floors and walls, attics, basements and outbuildings. If you are looking at a historic property or a very unusual building, your surveyor will typically have specialist experience with similar homes, allowing them to anticipate problems and provide more detailed recommendations. In addition, the report you receive upon completion will be much more detailed than a HomeBuyer Report, although it will follow the same traffic light system for highlighting defects. You will be given a clear description of each fault, along with professional recommendations about repair and maintenance, along with their associated costs. What are the benefits of having a RICS Building Survey? Of all pre-purchase surveys approved by RICS (the Royal Institution of Chartered Surveyors), a Building Survey is the most comprehensive. While this means that it is also the most expensive, it offers an unparalleled insight into the building you are about to buy, warning you about any urgent or expensive issues before you sign a deal. Homeowners that fail to get a pre-purchase survey on their property typically spend over £5,000 on repairs when they move in, meaning that any survey can actually save you money and prevent unpleasant surprises once you have the keys. For example, if your Building Survey uncovers £15,000 worth of necessary repairs, you can try to negotiate the same amount off of the asking price.